Australia’s Most Sought After Advisor For Business Owners Considering Franchising. Having worked in the franchise sector for over 30 years and helped business to grow by over $3bn in that time, I believe franchising offers one of the most exciting business models around for anyone looking to create real wealth and financial independence for themselves. I first saw the massive potential for franchising to create a successful business – fast – after opening and operating seven stores in just five years as a franchisee for Bedshed. With the knowledge I gained there as a franchising consultant in Australia, I went on to set up Franchise Alliance, a consultancy which helped household names like Brumbys, Ultratune, Jim’s Mowing and Donut King develop successful sales strategies and franchise systems. The Franchise Alliance is still going strong in five states, as well as in New Zealand. I then used those same strategies and systems myself to build up six franchise groups, with over 120 outlets between them. Based on this depth of experience, I’ve helped many dozens of businesses to franchise successfully, increasing their profits and allowing their owners to retake control of their lives by working fewer hours. If you would like a consultation with me, take advantage of the FREE 20 Minute Consultation we offer as a preliminary service by booking time in our calendar. Or if you need more advice, go to my Consultation page to organize a time. I’ve now brought all my knowledge together in my latest venture, ‘Franchise Simply’, with the aim of showing business owners how to transform a family-sized firm into a multi-million dollar asset through a unique seven-step system, saving tens of thousands of dollars in consultancy fees in the process. I’m passionate about helping people become financially secure and independently wealthy by setting up their own business, wherever they are, whatever their background. That’s why I founded and became Chairman of MicroLoan Foundation Australia (MLFA), a charity which, to date, has provided over $750,000 in loans to impoverished women in Malawi to allow them to start their own business and improve life for themselves and those who depend on them. Originally from Uxbridge, UK, after qualifying as a quantity surveyor, Brian emigrated to Malawi in 1966, where he established several successful businesses, most notably a building and development company, before moving to Perth, Australia, in 1975. 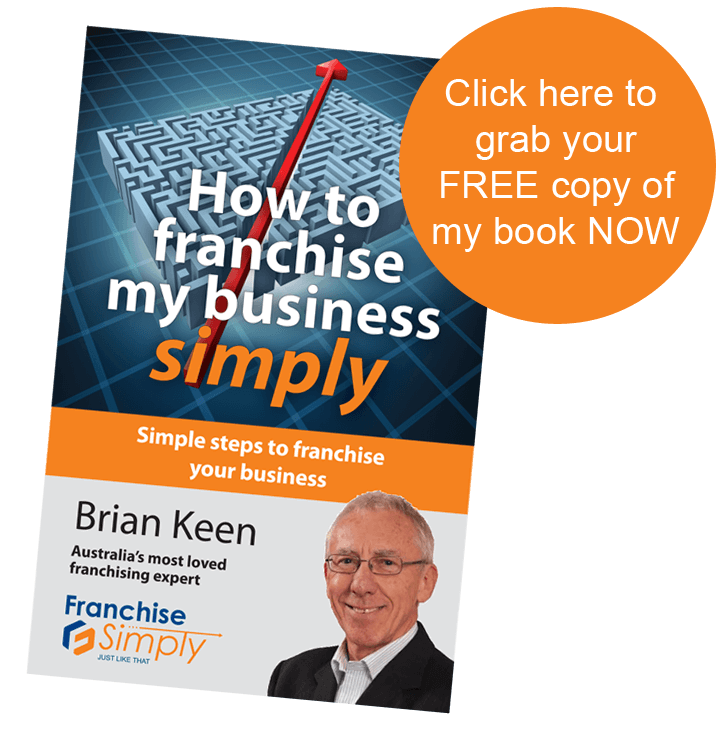 Brian has 40 years’ experience nationally and overseas as a business owner and company director, primarily focusing on business growth, particularly sales and marketing in the franchising industry. Brian and his wife and business partner Prue have two daughters and now live on the Gold Coast, Queensland.